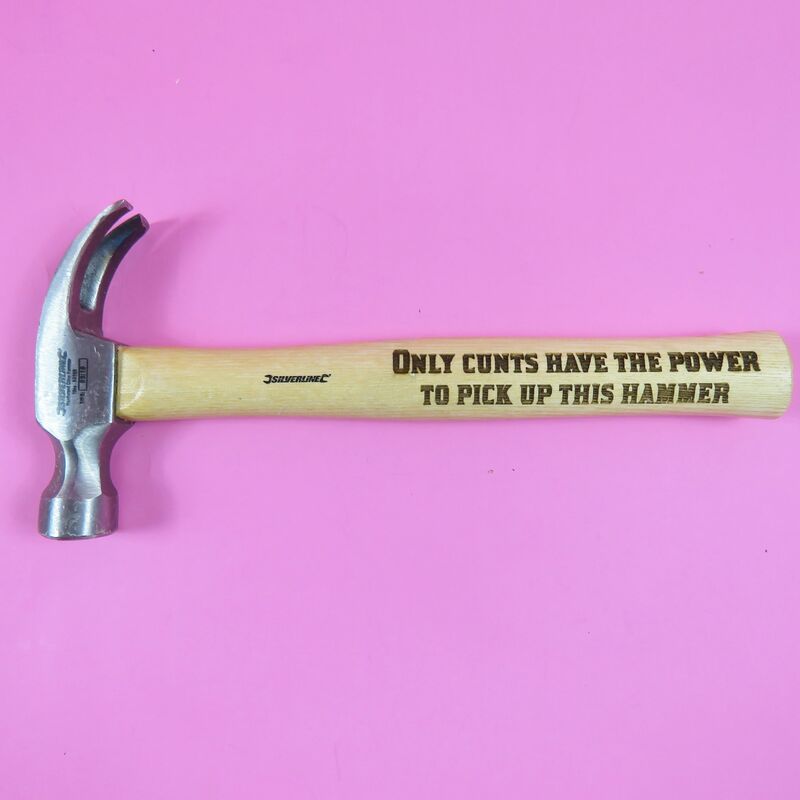 Fully customaize your text: This Hammer can be personalised with a name, special message or even a memorable date to make it the perfect gift for you or someone special. Long Lasting: The design is engraved onto the Hammer. This means that it will last will never peel or fade. Hammer: We stock 16oz claw hammers which measure 30cm in length. Do you know a diy enthuist? Perhaps you know someone who is beginninng a career in carpentry? Or maybe you're getting ready to celebrate your 5th wedding anniversary? Then look no futher. This is the Hammer for you! All our Hammers are designed and made with love and care.